If you suffer from sleep apnea, you know it can be expensive to treat the condition. Planning your finances for retirement is difficult. Medicare doesn’t always cover everything we need as we age. Out of pocket medical expenses can put a damper on a fun retirement. If you’re new to Medicare, navigating everything you need for your sleep apnea might be a challenge. Let’s discuss how to get your Medicare CPAP supplies. If it helps relieve any stress about sleep apnea, know you’re not alone when it comes to treating the disorder. Sleep apnea affects up to 20 percent of the population. Without proper treatment, sleep apnea can lead to other health problems. Treatment includes losing weight, avoiding sleeping pills, no smoking or alcohol, surgery, and changing sleeping positions. More severe cases require treatment with a Continuous Positive Airway Pressure (CPAP) machine. Most health insurance companies cover CPAP equipment for the treatment of obstructive sleep apnea. But proper diagnosis is critical to making sure you qualify for coverage. OSA (obstructive sleep apnea) is the more common form of apnea. It happens when a soft tissue blockage of the airway collapses during sleep causing breathing to stop. The CPAP machine pumps continuous air down your airway while you sleep. Patients wear a mask over the nose and mouth while sleeping. The continuous airflow helps prevent soft tissue from blocking your airway. If it’s almost time for you to retire and you already have a sleep apnea diagnosis, there’s no need to worry about continuing CPAP treatment under Medicare. You can also receive coverage if you receive a sleep apnea diagnosis after you retire. When you qualify for Medicare, coverage includes CPAP machines. Medicare Part B covers several types of sleep tests and treatment devices. Sleep tests are important for diagnosis. Without a clear diagnosis of sleep apnea, you risk losing Medicare coverage for treatment of the disorder. Polysomnogram (PSG). Also known as a Type I study, this study takes place in a certified lab and is most often used to diagnose sleep apnea. Maintenance of Wakefulness Test (MWT). This test helps doctors determine if you have trouble staying awake during the day. Multiple Sleep Latency Test (MSLT). This test usually occurs the day after a polysomnogram. It measures how sleepy you are and whether you fall asleep during the test. Home Sleep Test (HST). This is a test you do at home. During the test, you connect to a portable monitor while you sleep at night. Actigraphy. During this test, you wear a device similar to a wristwatch. It measures your sleep and nap schedule throughout the day. The test can last several days depending on what your doctor prescribes. If this testing results in a confirmed sleep apnea diagnosis, your doctor then prescribes the CPAP machine. 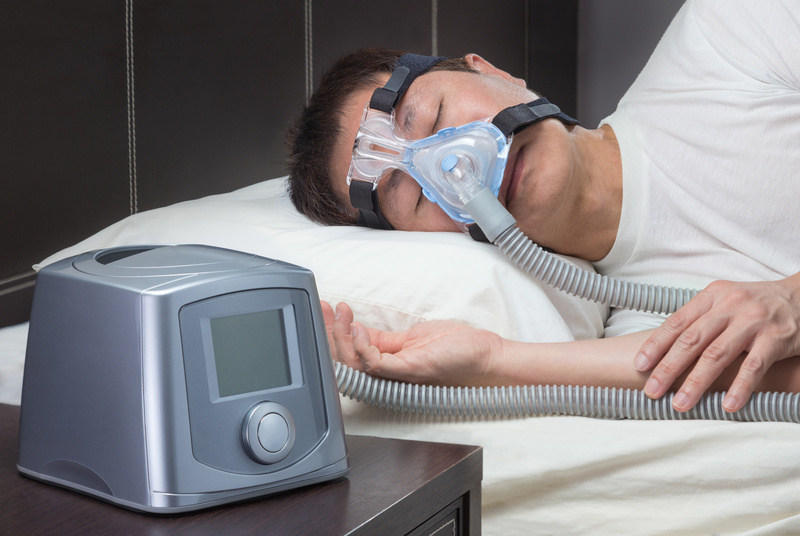 Meeting the criteria of the sleep tests helps Medicare coverage apply to your CPAP machine. As long as your CPAP machine meets these criteria, Medicare Part B coverage applies. When using Original Medicare Part B, you’ll pay 20 percent coinsurance on the CPAP machine. You’ll also pay 20 percent for equipment supplies, like the mask and tubes that connect to the machine. The exact costs to you depend on the cost of the machine, the supplier, and if you have any other insurance coverage to offset costs. Once your doctor provides a diagnosis of sleep apnea and prescribes the CPAP machine, you’ll need to find a Medicare supplier for the equipment. This is the only way Medicare covers any CPAP costs. Medicare pays the supplier while you rent the machine. After thirteen months of continuous use and payments, you’ll own the machine. Is There More Help Than Medicare? Even after Medicare covers everything under Part B, you might still have expenses outside of your budget. Consider adding Medicare Supplement Insurance to help reduce your out-of-pocket expenses after Medicare coverage limits. Medicare Supplements (or MediGap plans) help you budget for monthly medical expenses–like CPAP and other sleep apnea treatments. When paying the out-of-pocket rental fee for your CPAP machine, a Medicare Supplement reduces your overall costs for the equipment. Medicare supplement insurance companies offer standardized plans that follow state and federal law. The plans come from private insurance companies. However, prices vary depending on the insurance carrier. Supplemental policies require a separate premium payment. Enrollment takes place during open enrollment periods. If you think you might have health expenses beyond what Medicare covers, plan supplemental coverage into your retirement plan to avoid expensive out of pocket costs. Treatment for Sleep Apnea can be expensive. The costs of machines or surgery can be difficult to manage on retirement income. But, delaying treatment of sleep apnea can lead to more expensive health conditions like strokes or heart failure. Work with Medicare and supplements to get the coverage you need for affordable CPAP treatment. Medical expenses can put a damper on your retirement dreams. With the right combination of Medicare Part B coverage and Medigap plans, you can reduce the costs of Medicare CPAP supplies. There’s no need to pay more for your health care than you should. When considering immediate expenses, you might consider borrowing from yourself. Read more here to find out if it’s a good idea to borrow against retirement accounts for emergency expenses.